Wonderware Skelta BPM helps organizations get work done intelligently, effectively and in a governed manner. Through its powerful functionality and model-driven framework, Wonderware Skelta BPM offers a strong platform for effective modeling across the Enterprise. 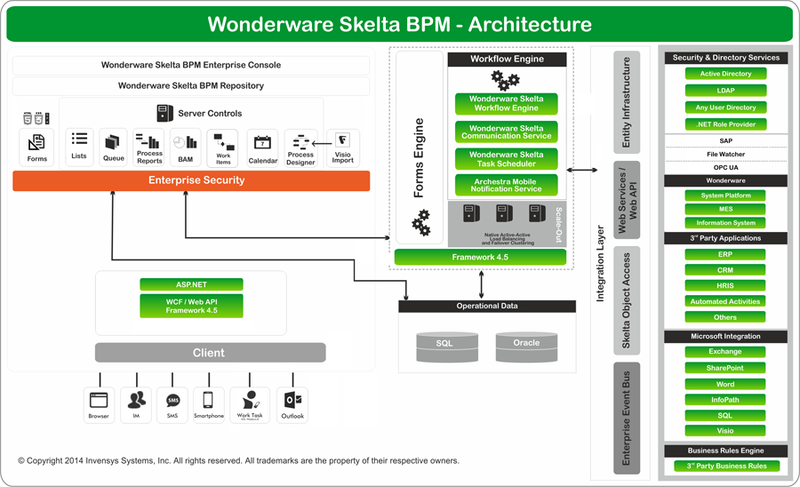 Wonderware Skelta BPM software delivers advanced workflow solutions and a complete set of tools for creating, executing, and optimizing business processes. 100% embeddable web-based architecture and strong integration capabilities ensures collaboration throughout the Enterprise. 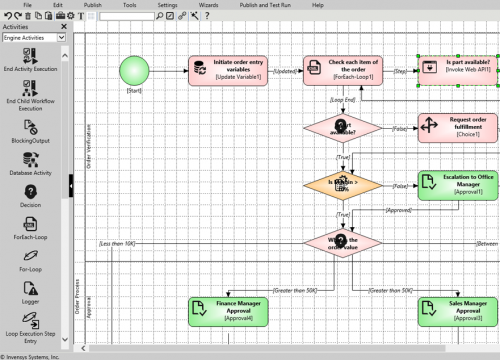 Wonderware Skelta BPM’s 100% web-based Visual Process Designer offers user-friendly modeling opportunities for processes built by process owners. 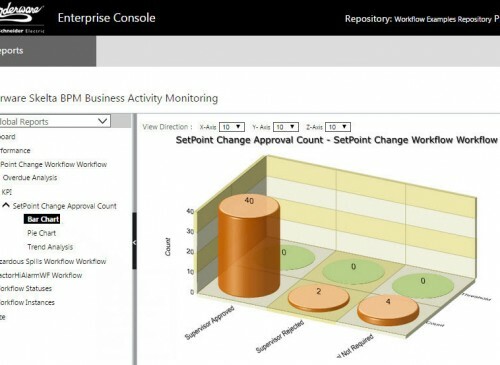 Users take control of managing and making critical changes within their processes in a familiar web-based environment. Wonderware Skelta BPM Software features an intuitive web based visual Process Designer for advanced process modeling. It provides an easy business process modeling environment through its visually-rich Microsoft Visio like user-interface with support for advanced queue management and multi channel alerts. Monitor your organizational performance across the business latitude through powerful dashboard capabilities featuring Role-based personalized dashboards. Get proactive alerts of Business Exceptions and KPIs, automate exception handling procedures and configure Alerts against Business Activity thresholds. Monitor and make improvements at every step of a business process with exhaustive drill down reports for both out-of-the-box and customized views.